After the last day of delivery from Tian Wei Signature, it seemed to truly mark the end of my confinement. I had 2 full months of nutritious food from my PEM confinement nanny and Tian Wei Signature. I strongly believe in eating well without being fussy with food cause this will really benefit our body and milk supply to our babies. 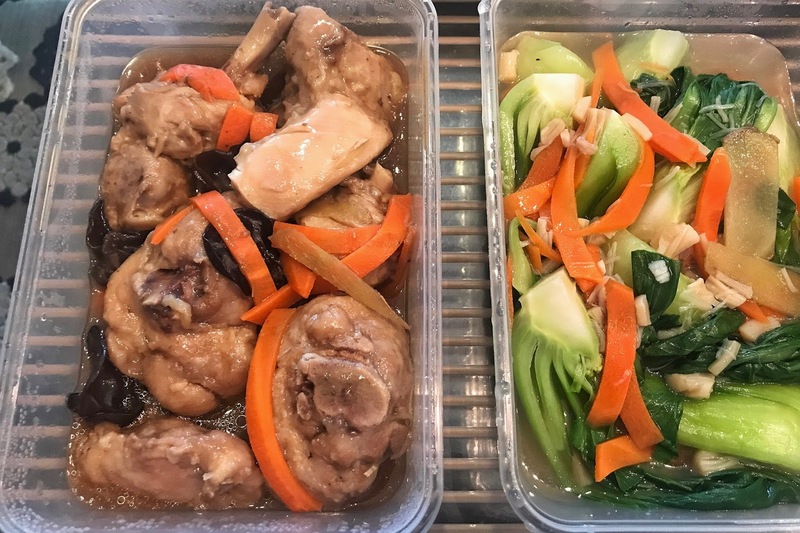 The food which Tian Wei Signature sends over twice daily is always warm and packed with essential herbs and ingredients which will boost the mood of mothers, as well as replenish their bodies, which in turns aid milk supply. 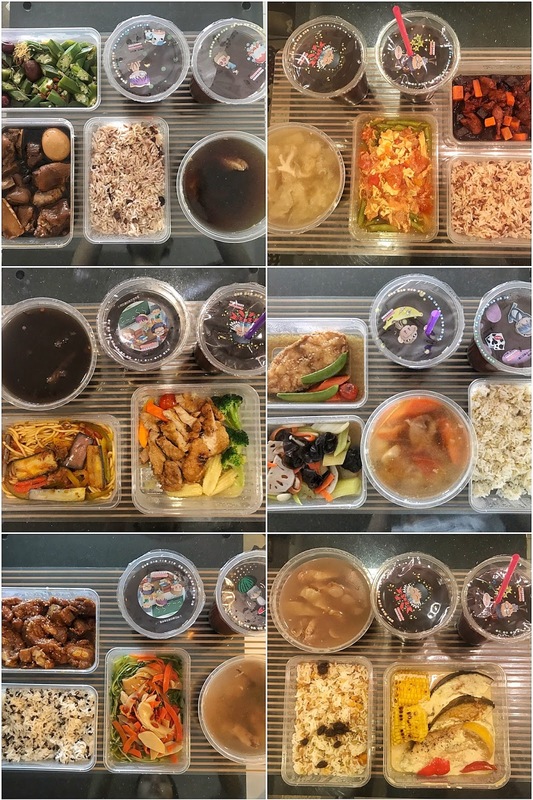 One key differentiating factor of Tian Wei Signature, one of the biggest Confinement Food Catering in Singapore is that their meal plan incorporates Mediterranean and Japanese to spice up traditional confinement meals. The menu comprises of various dishes which are improvised to make them more appetising! 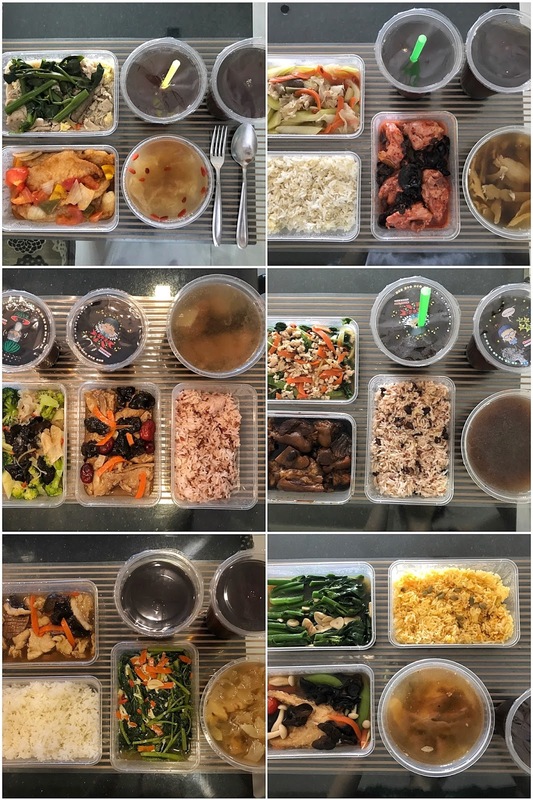 Look below at some of the meals I've had for lunch and dinner for the 28 days! I had a few meals of Salmon which is rich in high levels of omega-3 fatty acids like DHA and EPA to benefit your baby in the long run. Salmon is one of the superfoods for breastfeeding too! Not all meals were rice, there were bee hoon for some meals too! That's a lot of meat you see, there were some pig liver too which helps to replenish blood loss! I'm not the biggest fan of Black Sweet Vinegar Pork Trotter Recipe 猪脚醋 but my husband is. So when it is on the lunch meny, I would remember to keep a few pieces for him to eat at night! It is hard to find good 猪脚醋 these days as it is a dish that takes a lot of effort and hours to prepare! You can also see, not every day it is white rice, there are brown rice, black rice, fried rice, rice with raisins yummmm, couscous! So thoughtful that even the carbs is differently daily! The portions delivered are always so generous, my family shares them with me at dinners! 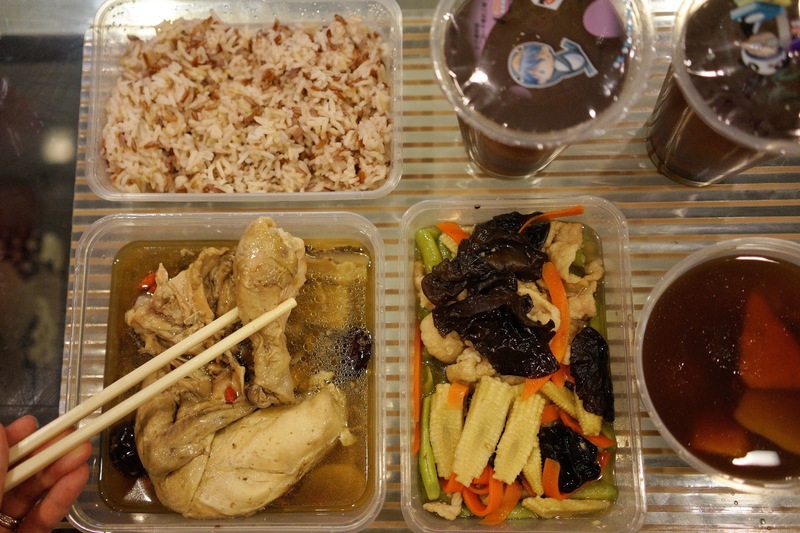 My brother-in-law's favorite herbal chicken with black fungus. He would even ask me on a couple occasions if dinner had this again?! We were lucky to have it for 3 times during the entire meal. 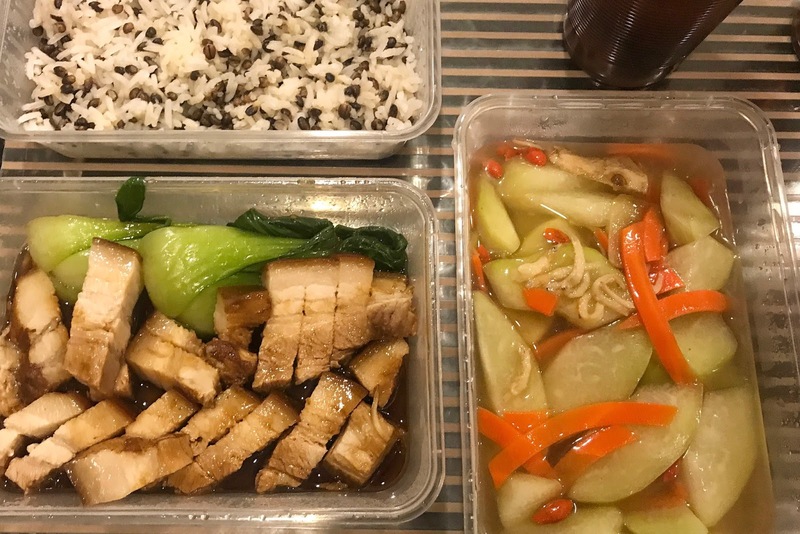 As quoted by my BIL who was skeptical about confinement meals at first- He said: the meat is so tender and meat so packed with flavor! 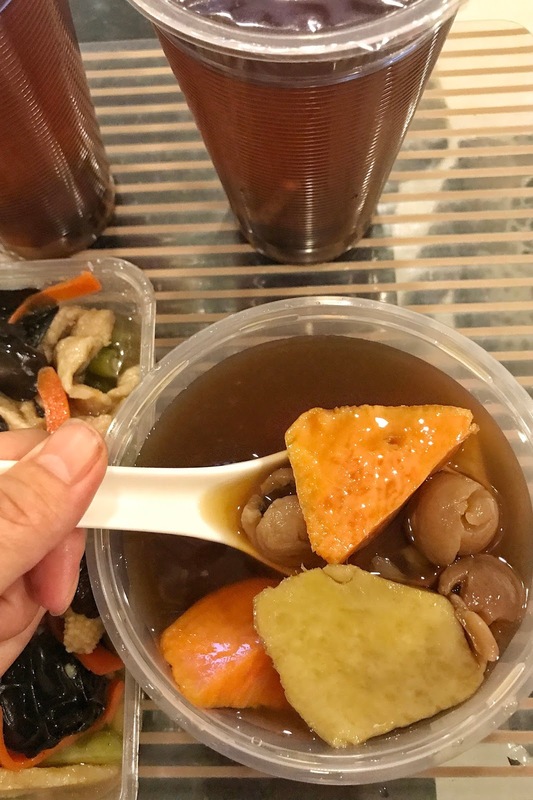 We all love the black fungus which is surely a pricier ingredient to have in meals! Another favorite which I was happy it came twice in the 28 days! This ginseng chicken which portion was so big, I had to share! You can actually see and taste the generous herbs used for this dish too! 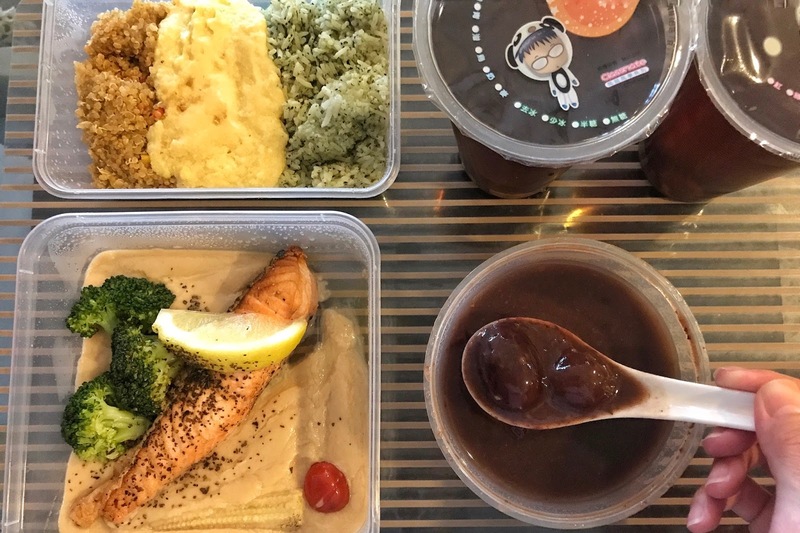 On this particular day, I had salmon, couscous and grains and the key hightlight was that bowl of rich and thick red bean soup! Even Alvin was excited about it, he even joked about asking me to call and request for another day like this! It was really very good! It is healthy for new mothers to eat red bean during confinement. Red bean is rich in dietary fiber which can help to prevent constipation during confinement. Furthermore, red bean is rich in iron which is essential for red blood cell formation. New mothers lost blood during birth delivery and through lochia! Another dessert we enjoyed was Cheng Ting with a lot of my favorite sweet potatoes! 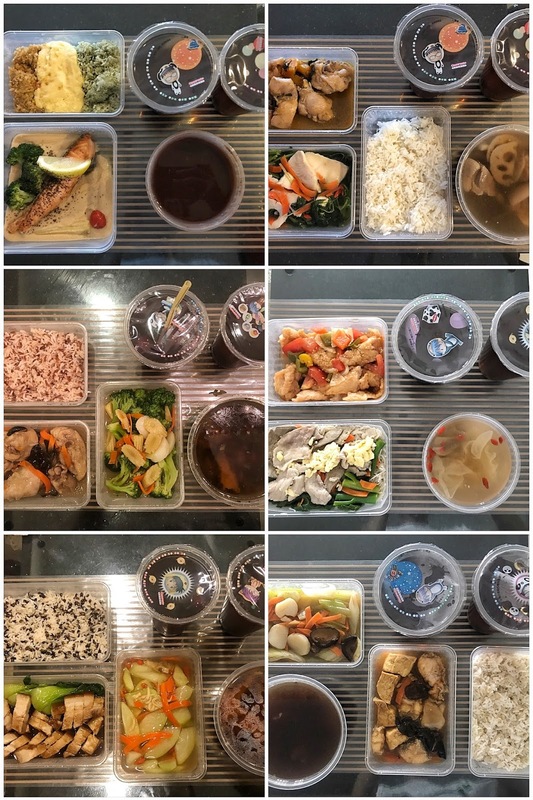 Thank you Tian Wei Signature, for the 28 Days of confinement food, delivered nutritious and warm to my door step! Every lunch and dinner, I had a carbohydrate, vegetables, fish or chicken, 2 cups of red date tea, a soup and on some good days, a dessert! What more can I ask for? They were flavorful and made with both mother and baby in mind. Herbs to help the mother replenish her losses, ingredients that help mother increase her energy level and to create milk for the baby. 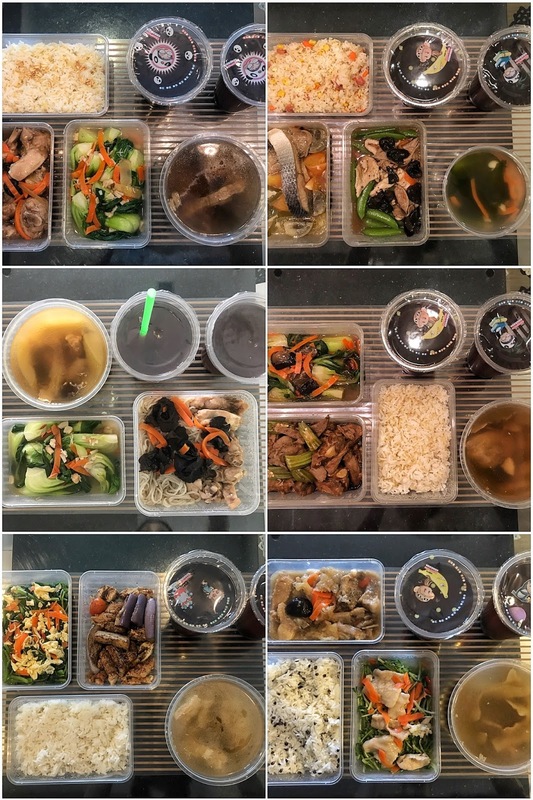 You guys know who to go for your Confinement Food Catering in Singapore if you are unable to prepare meals similar to these. Postnatal recovery is crucial and cannot be taken lightly. 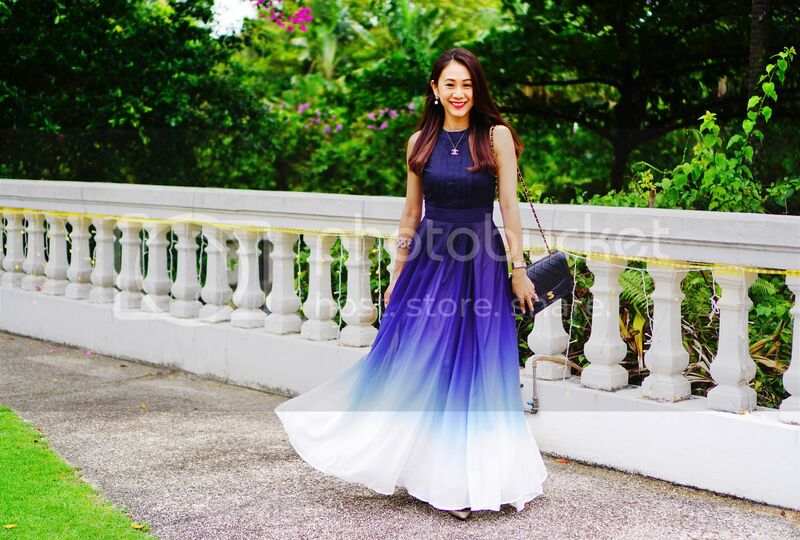 Quote zoeraymondTW for $148 off the 28 Days Double Package at Tian Wei Signature.